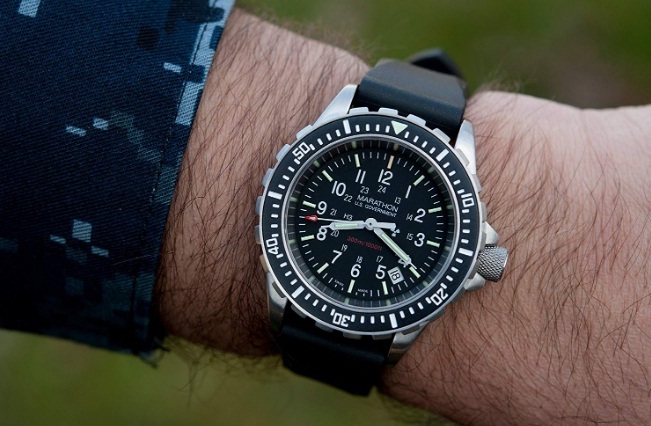 Best Automatic Dive Watches Under $500 – To challenge the impossible, to go where no one has gone before, this sense of accomplishment of people pushing the limits of what we choose to accept is the attitude that has gotten us to where we are today. Even if this philosophy doesn’t apply to all areas, it certainly does in the dive watch market; I mean how else could we have gotten watches functioning hundreds of meters below sea level? Its more than the waterproofing; the pressure underwater is high (that’s why your ears feel a certain way if you dive quite a deep underwater). A dive watch is an important timepiece when it comes to tracking one’s oxygen use and time spent underwater. Making the best decision in purchasing a dive watch that is quality with state of the art design, optimum efficiency, comfortability and a price under $500 might be a difficult decision to make. 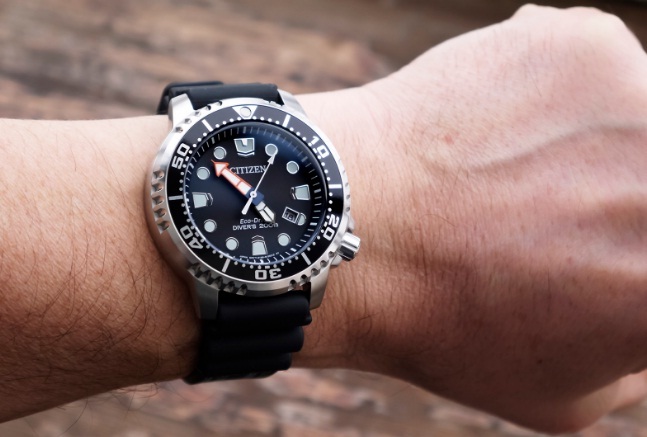 You might be skeptical about how this might be possible but, this Article will show you without confusion, great examples of the best dive watches under $500!! With state of the art design, proven efficiency, unmatched quality, and comfortability. These economical timepieces have an unparalleled quality design, durability, functionality, and beauty that it’s such a steal to possess these timepieces. Bezel (unidirectional): A bezel is a rotating ring surrounding the watch dial that only turns counterclockwise and features markings in at least five-minute intervals. Rolex and Blancpain introduced bezels in the early 1950s. They are used to enable divers to track their underwater oxygen use as there is limited oxygen, they can act as a reminder to prevent the divers from spending too much time underwater. 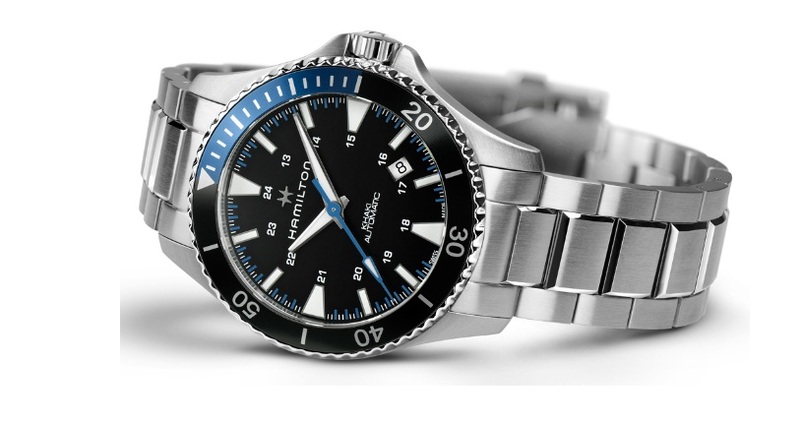 The unidirectional bezels turn counterclockwise and are a safer way to track underwater time. Gasket: Gasket is a soft rubbery ring inside the watch that keeps it watertight and prevents damage by water. Helium escape valve: This is not a dive watch requirement; this is not a dive watch requirement; however it still comes on some watches. Helium gas He is a very light gas and can get into spaces where air and water can’t get into under the pressurized sea level. The valve is set up to gradually depressurize the watch when the diver gets back to sea level. Lume: Stands for luminous phosphorescent. It is a solution applied to watches nowadays to make them glow in the dark watches, radioactive materials like radium and tritium were used back in the day; fear not, radioactive materials are not used anymore. The lume is a fairly popular term among watch enthusiast; it comes with most sports watches nowadays. The lume is very important for diving watches because visibility undersea is key. Screw-down crown: This is a crown that screws down until it gets to a tight line with the watch case; this too is used to seal the watch from water penetration. 1.4.1 Why Should You Buy This Watch? 1.5.1 Why Should I Buy This Watch? 1.7.1 Is This Watch For Me? Overview: According to “Mass Drop” one of the best budget-friendly innovations of recent times. Orient’s Mako watch has become most popular; the name draws inspiration from the name of one of the smartest, fastest sharks in the world. Its affordability and design make it the best introduction to automatic watches. And with its 60-click unidirectional bezel, 200-meter water resistance, and screw-down crown, it’s also a great introduction to divers. After all, it’s built with office-friendly features such as a brushed stainless steel case and a sleek black dial. It is equipped with applied stick markers; the dial features a day and date window at 3 o’clock along with applied hour markers at the 12, 6, and 9 o’clock positions. The sword-style hour and minute hands, along with all the markers, are loomed, while the second hand is tipped in red. 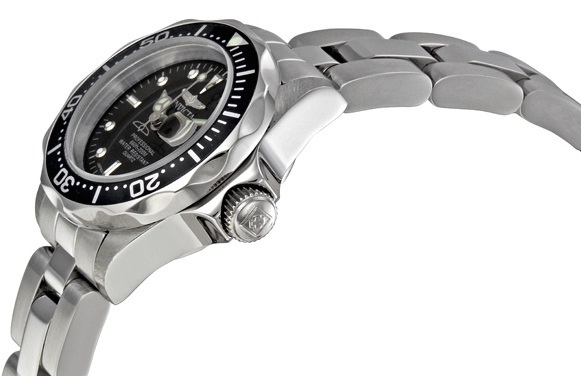 On the inside, the Mako is equipped with the company’s renowned caliber 46943 automatic movement – Orient’s most popular. Overview: This watch is exceptional and deserves its place on this list easily. The balance it provides is unparalleled, One minute you’re diving with it and the next you’re at an official function without changing your watch… A sense of bourgeois is given to it by a Hardlex crystal set into the 42mm face while the build which is stainless steel offers just enough flash to be noticeable. It can run without a battery; by only the movements of your arm, the SKX007K2 uses a perpetual pendulum to wind itself off. Marking time is easy owing to the high-contrast face along with fully marked bezel. Pro: It has a clean and timeless look. Con: There is too much freedom on the band. Overview: According to “Mass Drop” one of the best budget-friendly innovations of recent times. The Seiko “Sea Urchin” features a Seiko 7S36 23-jewel automatic movement. Its polished case on the sides and light brushing on the lugs is a distinctive feature. Its stainless steel case which is 42-millimeters in thickness makes it have the classic dive watch barrel shape. The rotating bezel comes in black for a subtle look and is 120-click unidirectional; its Hardlex crystal and display case back rounds out the watch. The watch is extremely easy to read at a glance because of its luminous dot and block indicators. The dark dial which gives a different look is popped off by the coating. A window at the 3 o’clock position allows one to keep track of the date also showing the day of the week. Pro: It has versatility in its design which makes it fitting for any outfit style. Con: It doesn’t last up to 40 hours with the battery fully charged. 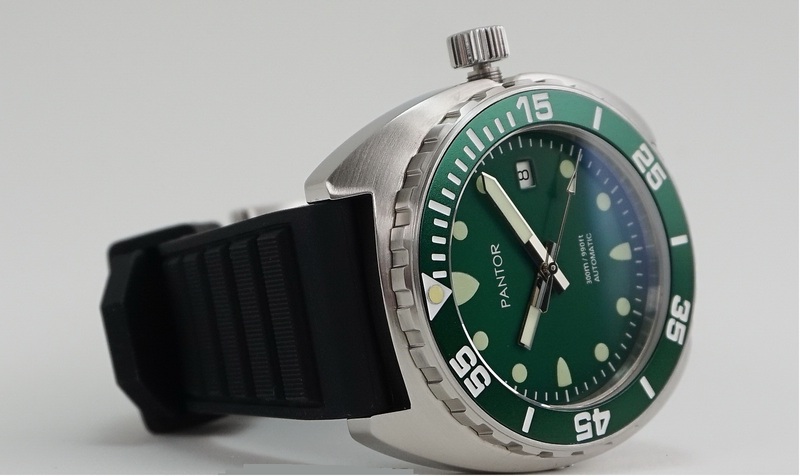 For those of you familiar with this brand, before I recommend it, I would like to start by stating that it is not a dive watch, but it is a very well built piece that one can dive with. It carries the traits of a Hamilton watch with their superb quality and precision. It’s made of sapphire crystals which are very sturdy and also sports ETA automatic movement that gives it excellent accuracy. Your choice whether or not to buy this watch should depend on your activity. For a pro scuba diver, this is really not suitable, but if you don’t mind doing light water sports and snorkeling, this is just perfect for you! Yes, its Seiko back on the list, what a surprise right! The thing with Seiko is the love of pushing boundaries especially in this area and I feel there are going to be more Seiko watches on the list because they are that good. This watch comprises of the trademark Seiko innovativeness that helps you navigate the deep blue sea with ease. Why Should I Buy This Watch? Do you love the quality, innovation and excellent underwater visibility? if so, then you’re done searching for a dive watch. The company statement is that this watch is for” The adventurer who likes to make a statement, this watch takes you new depths and heights while keeping you on the right track! ”This watch sports a Stainless steel case, silicone strap with buckle closure, a round face three-hand analog display with quartz movement. Intricate dial design features color-tone hands and hour markers, two-subdials, date display window, and Citizen detailing. 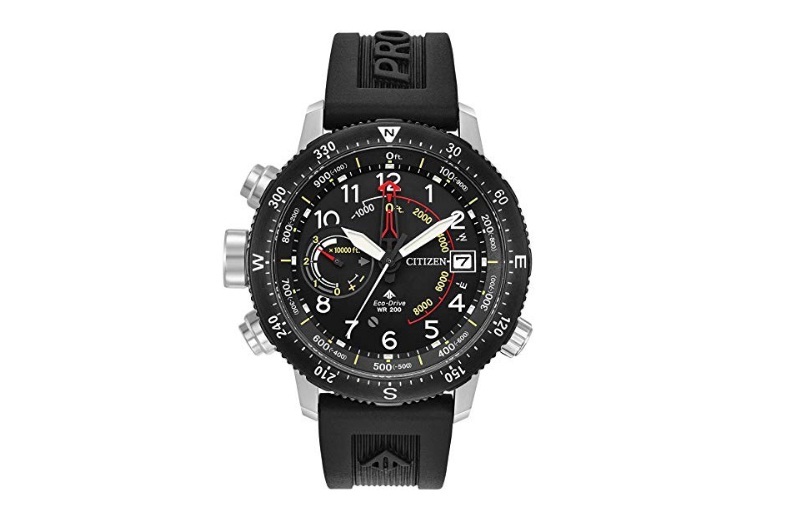 The Citizen Promaster Altichron watch is powered by Eco-Drive technology and is powered by light, any light. Never needs a battery. It is water resistant up to 20 bars perfect for swimming and snorkeling. Display case included. Imported. 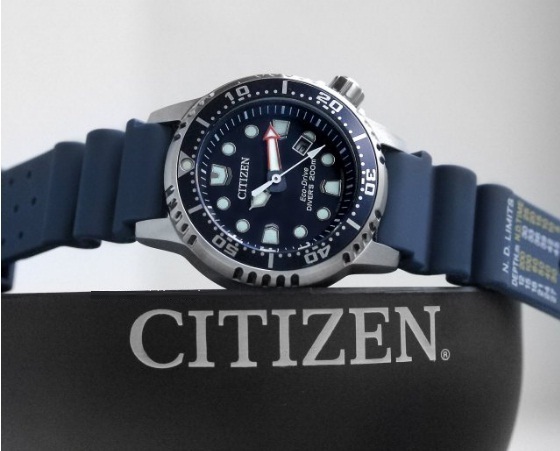 Citizen Watch offers a five-year limited manufacturer’s warranty on all their products. Is This Watch For Me? Are you an adventurous person who wouldn’t mind being that person who seizes the day to get lost and have an excellent adventure? That’s the vibe you get wearing this watch, so are you? It is important to bring up this category because even though scuba diving is a very rewarding sport that doesn’t exactly keep it bracketed for just males, it is still dominated by males. So online a lot of watches that are not labeled ‘man’ are still made and designed with men in mind. So this list is for the women who are struggling to find quality gear because the top quality gear is either made for men or look too masculine. The main difference in labeling watches for men or women is size, most of the watches will have the same functionality anyway so size is the major deciding factor here. The watches for women generically have smaller wristbands and smaller daces while the men’s is the opposite of that. 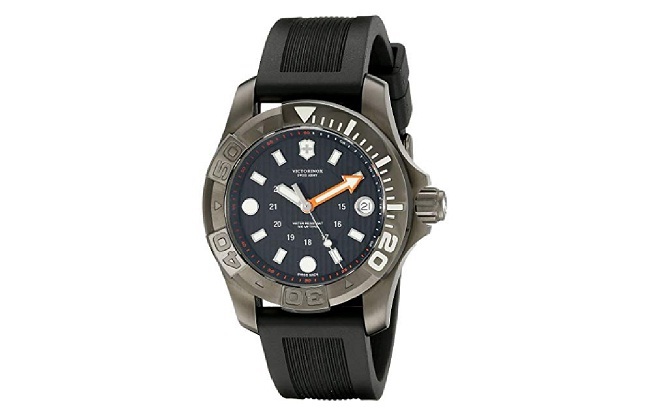 This is the classical mid-size men’s automatic dive watch. According to SEIKO, it features a Seiko 21 jewel automatic (self-winding) movement (caliber 7S26), a day and date display, highly luminous hands and markers treated with Lumibrite, screws down offset crown, uni-directional 120 click bezel, scratch resistant hardlex crystal and a solid etched, screw-down case back. Although it may be advertised as a man’s watch, many men complained it feels too little for them and a lot of women like the fit just fine; hence its place in this category. This and when thinking about the price ranges, you can barely get better than this anywhere. This watch sports a Stainless steel case, bolted back case, rotating dark blue plated bezel with minute scale, mineral glass, water resistance to 20 bar, width 34 mm, height 11.5 mm, blue PU strap, pin buckle, solar quartz movement cal. E068 anti-magnetic, date, blue dial, hands and hour markers Luminous clock hand. To say simply, the watch is awesome and comes bearing goodies. It also uses Eco-drive technology as the Altichron mentioned prior to this. The power can last 180 days, and it is ISO 6425 certified which means this is a certified diver watch with breathing apparatus compatibility and helium gas release apparatus. This watch has an exquisite design the beautiful 38mm round stainless steel dive watch features a rotary bezel, date window, luminous dial, buckle closure among others it has been said to perfect for daily use. 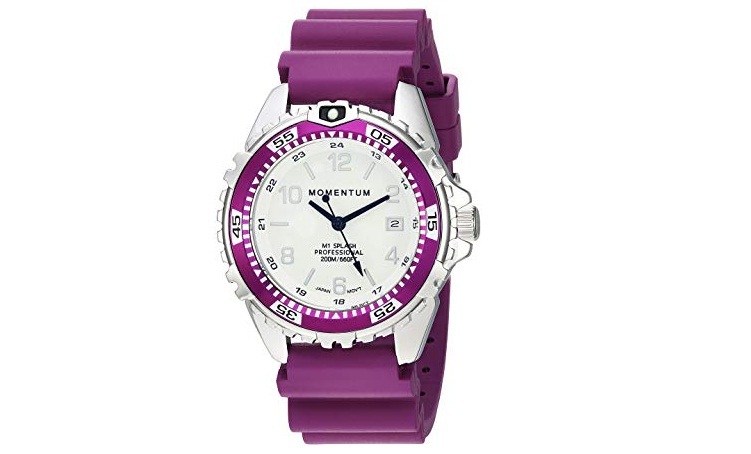 Each woman’s watch is waterproof tested to 200M / 660FT, making it the perfect watch for all your sporty activities. It is very comfortable to wear with its rubber straps and can be used for any water-related activities like swimming, snorkeling. 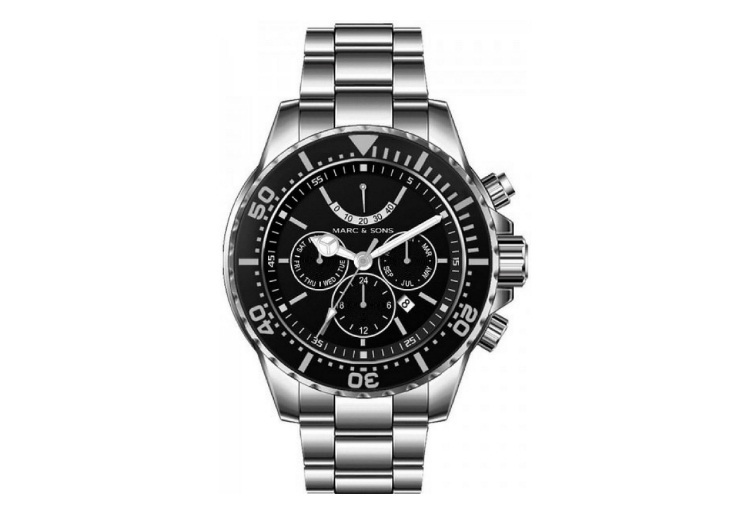 This Silver-tone watch features a black bezel and dial with luminous logo-inspired hands and indices25-mm stainless steel case with mineral dial window Japanese quartz movement with analog display three-link stainless steel band featuring fold-over clasp with safety/Water resistant to 100 m (660 ft): In general, suitable for professional marine activity and serious surface water sports, but not scuba diving. This watch was built to be stylish and make a statement which it does with its style and options. When it comes to the watch niche, for all types of watches Swiss watches are held in very high regard. “Swiss precision” is something watches companies boast about and will continue to in the foreseeable future given that it is something the Swiss watches are renowned for. However, the one thing Swiss watches are also known for is their price or rather high prices, and this may scare off people trying to buy high-quality watches that are not crazy expensive. 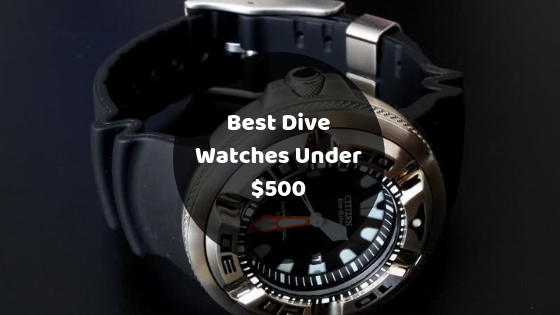 Today, I say fear no more; I bring you top Swiss dive watches under $500! 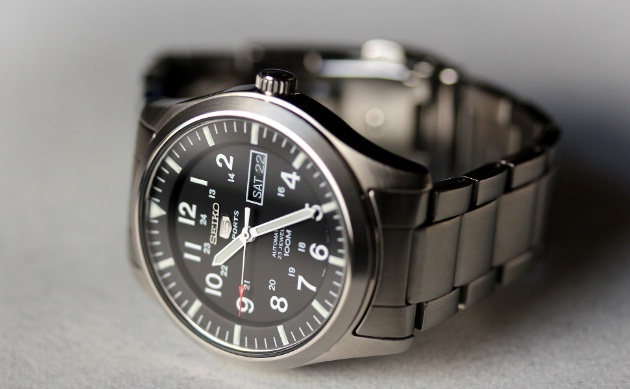 Victorinox Swiss army watches definitely live up to the brand standards. They are perfect watches for lightweight water sports like swimming or snorkeling. They are very comfortable and durable, and all these qualities combined with the price earned it a place on this list. Alpina’s watchmaking history spans more than one century, and it is a true giant in its field with their plentiful innovations. 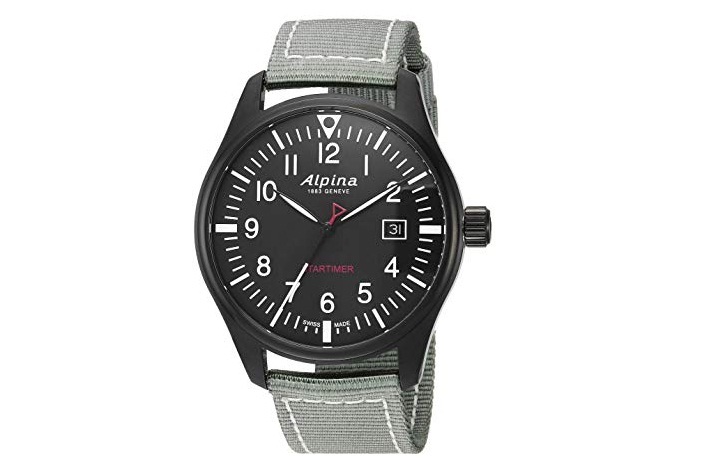 With this watch, Alpina was able to show they have an affordable watch although the Watches are generally renowned for being more on the pricey side. The underwater resistance of this watch is 100 meter so that it can be used for lightweight water activities but not scuba diving. Believe it or not, this category is the hardest to get material for because there are just too many great products. 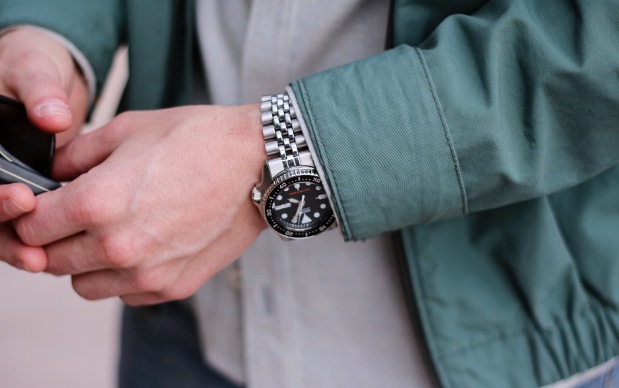 So, without further ado here are our top picks for the best men’s watches under $500. I’ve talked about citizens watches quite a bit on this already, so expecting anything short of phenomenal from them would be shocking. The Eco-Drive tech means this watch is powered by light and it never needs a battery. It sports a unidirectional bezel with a blue dial and date window at 4 o’clock and luminous hands/hour markers. There’s a high quality feel to it, and it can certainly be worn with any outfit. The design of this watch is a round watch with blue dive-style bezel featuring skeleton hands, luminous indices, three chronograph subdials, and date window at 4 o’clock. It sports a 49 mm stainless steel case with a flame-fusion dial window. It uses Chinese quartz movement with an analog display which hasn’t been seen so far in this article. Its stainless steel bracelet with a fold-over clasp with safety closure. Water resistant to 200 m (660 ft): In general, suitable for professional marine activity and serious surface water sports, but not scuba diving. These watches are very durable quality diving watches with 300 meters water resistance depth. The watch is made of high-quality stainless steel Case and sapphire glass. Its movement is Japanese quartz with self-winding capability. The watch has a sporty casual look to it and works great with any outfit. It is endowed with a Helium Valve and has a Rotating Bezel. All this quality combined with an under $500 price tag definitely gives this watch an advantage. 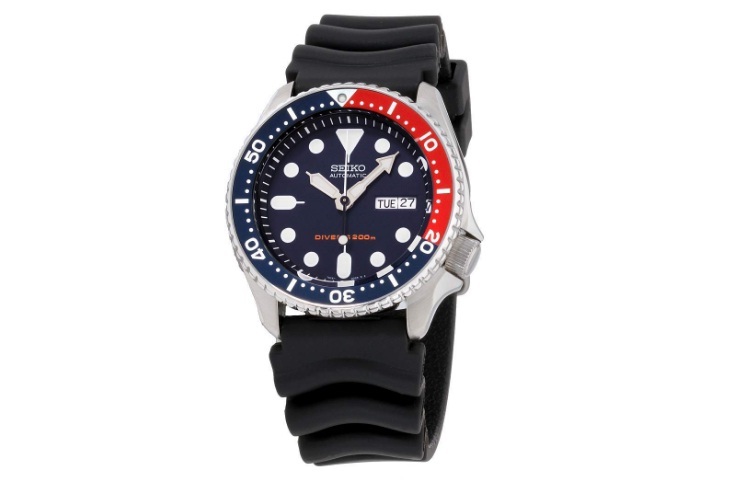 Seiko Divers Navy Dial Rubber Strap Men’s Watch SKX009P9 is a 42 mm silver-tone stainless steel case. It has a Navy Dial with a Hardlex Crystal. Date window at 3 o’clock, screw down crown, and 22 mm rubber strap with a tang buckle. Automatic movement and water resistant up to 200 meters. Its rubber strap makes it very comfortable to have on at all times. Even though this wouldn’t seem like a big deal to most but there are some people with small wrists who are at a loss for what watches to buy. The most important factor for how significant a watch wears is the combination of the thickness and lug-to-lug width. Generally, people try to wear watches that do not overhang their wrists. 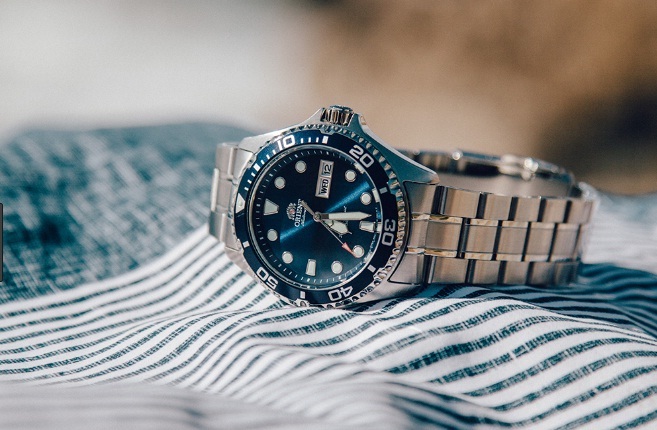 So if you’re in this category shopping for unisex diving watches that aren’t too big for your wrists and in a budget, you should certainly take a look at. Here are our top 3 picks for best 40mm watches under $500! 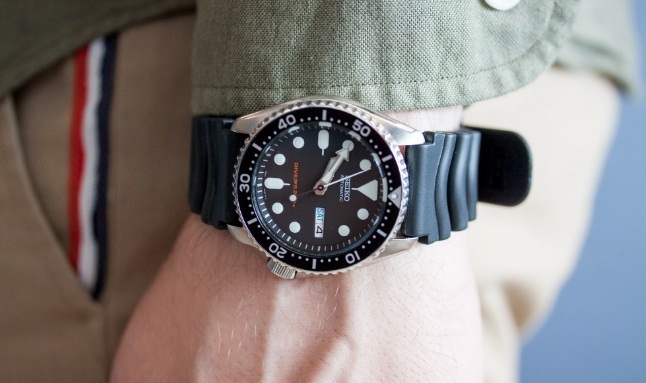 This watch shares an identity with another great watch on this list, the Seiko SKX007. It is sleek, stylish with different style options and most importantly has a diameter of 36mm. 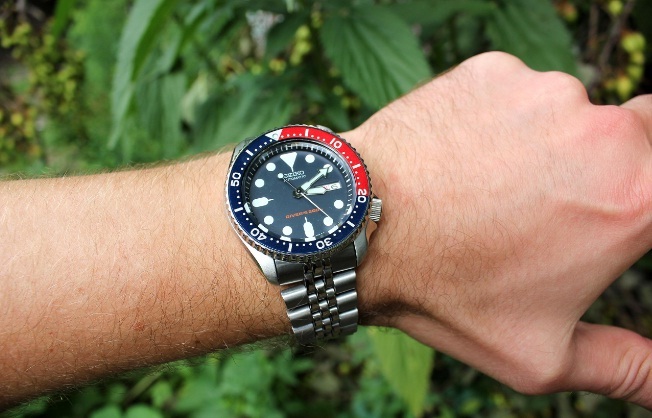 This may be by far the coolest and meanest watch in this article so far. It is a military style watch… before I go further, I would like to add that it is manufactured for the US military in accordance with their standards and is worn by troops abroad in Iran and Afghanistan! How awesome is that! It comes with tritium gas tubes which Self-illuminate 24/7 for up to 25 years. It is designed for Search And Rescue missions. Features 3mm thick scratch-resistant sapphire crystal, more durable than mineral crystal. 36mm case size. 13mm thick. Water resistant up to 300 meters or 1000 feet! The watch is manufactured in Switzerland with its straps made in Italy. Again, one of the coolest and the meanest. Like the iconic footballer of its name, the NEYMAR watches are also great. It has Swiss 2824 Automatic Movement with date indicator and analog display. 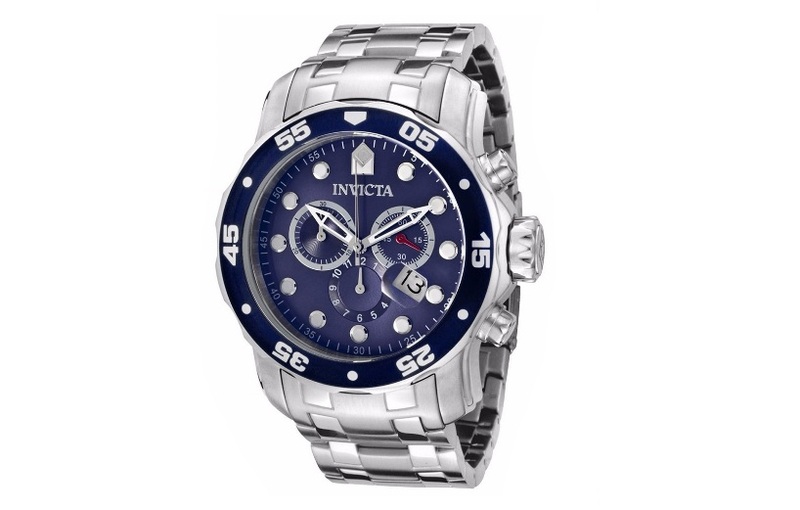 The watch weighs 180 g with a solid 316L stainless steel band and waterproof screw down crown. It is convenient for any use with water having a resistance depth and pressure of 1000 meters and 100 ATm. Dive watches are great and a feat of human innovativeness and ingenuity. Watch size, type and brand are personal preferences, and no one should feel left out, that’s why this article has so many varieties. So, enjoy your diving watches and have fun while doing so, thank you for the read.